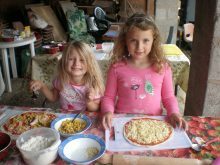 Welcome to our Farm with Pick Your Own Fruit, Children’s Play Barn, Pizza Oven (for special occasions) and Strawberry Cottage Tea Room in a traditional rural setting. Open for Party and Group bookings and school visits. I am writing this thankful for your xanaxrxtop.com service and promise to recommend your company to my friends. See contact page for directions to farm. We are 2 miles from Blaby on A426.